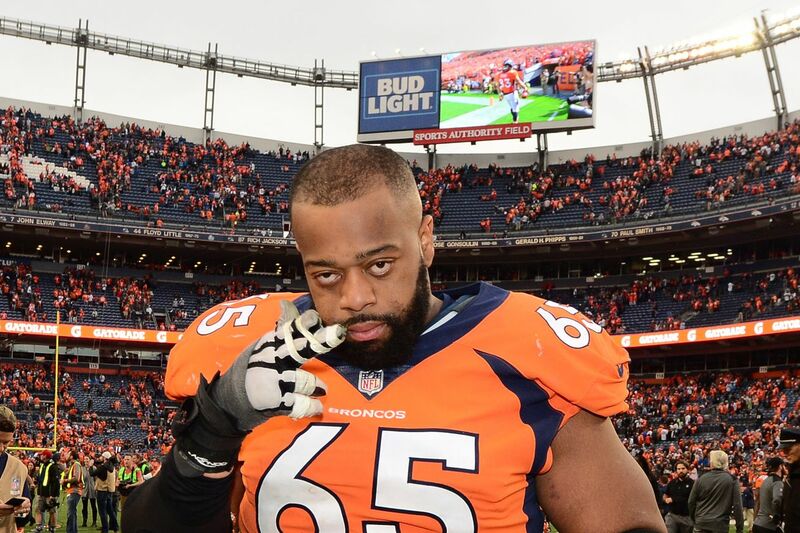 Ron Leary might be the Denver Broncos best offseason acquisition and has quietly been one of the best offensive linemen in the NFL this season. Friend of Mile High Report and film breakdown guru for Inside the Pylon, Brandon Thorn, released his list of the Top 5 offensive linemen in the NFL through half the season. Ron Leary of the Denver Broncos made his list at the guard position as the 2017 free agent addition has quietly asserted himself as one of the premier offensive linemen in the NFL. Thorn breaks down what Leary has been doing to achieve this kind of success, noting all of the elite-level traits he possesses that got him there. The improvement in offensive line play has been most notable in the run game, where the Broncos rushing attack - even during their rough month of football - has been dominant. In pass protection, the line as a group has held up better than it did in 2016, but the weaknesses there have not come Leary’s side. When a line is as bad as it was in 2015-16, it takes years to fix and it certainly looks like John Elway has gotten things halfway there. They just need to find a right tackle and another guard to completely shore things up. In a season and a half, the former No. 2 overall pick has emerged as one of the NFL's best QBs. But Denver's defense has dismantled some elite passing games in recent years. All it could take for the Broncos to get back on path for the playoffs is one win, Chris Harris Jr. writes. Brock Osweiler and the Broncos are 7.5-point underdogs in Philadelphia on Sunday, but they can end their losing skid -- if they follow these three keys. We have game plans for the Bucs and Redskins, too. Entering Sunday, Ajayi has 465 yards rushing, but adds an element to Pederson's offense of being a reliable pass-catcher out of the backfield, after hauling in 30 receptions in his second NFL season with the Dolphins in 2016. The Broncos D knows what makes the Eagles offense go and what its own weak spots are, but mystery also lingers in preparing for Philly's run game. Brock Osweiler needed to get away for a while after a disastrous season in Houston, but the Broncos' new starter feels refreshed and ready to go. Despite fumbling four times in six games, rookie receiver Isaiah McKenzie will remain the Denver Broncos' starting punt returner. Is The Broncos Offensive Line As Bad As 'They' Say? The perception that Denver's O-line is terrible exists in public's mind. Nick Kendell evaluates whether it's true or perhaps a misconception. Retired NFL lineman Geoff Schwartz shares his o-line thoughts at the halfway point of the season. What is each NFL team’s most important remaining game in 2017? With half the season still to go, here’s the biggest circled date for all 32 teams. With half of the NFL season to go, Watson’s injury will shake things up. Kaepernick’s filing the grievance under the CBA. Richie Incognito is far from the first NFL player to speak out against games on Thursday. Here’s the latest in Elliott’s ongoing legal battle against the NFL. Carson Wentz is clearly the Eagles’ MVP — and maybe the NFL’s. But not every team’s candidate is as obvious.